This navy colored tallit/tefillin bag is designed with the image of the Jerusalem skyline on its bottom right corner. 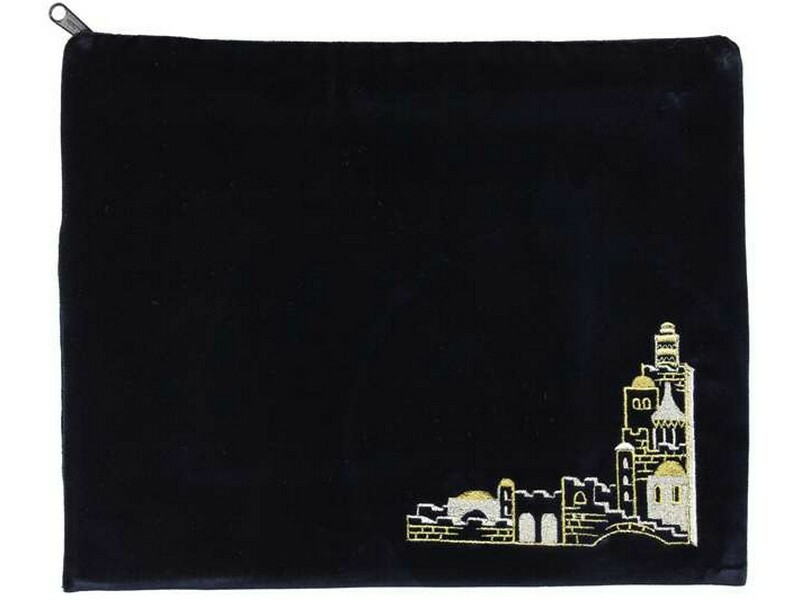 Embroidered on lush velvet, in silver and gold colored thread, the image includes details of the Walls of Jerusalem, Tower of David and other prominent landmarks of Jerusalem's Old City. The design is embroidered along side only one corner, with ample empty space on the face of the bag to accommodate any custom embroidery.